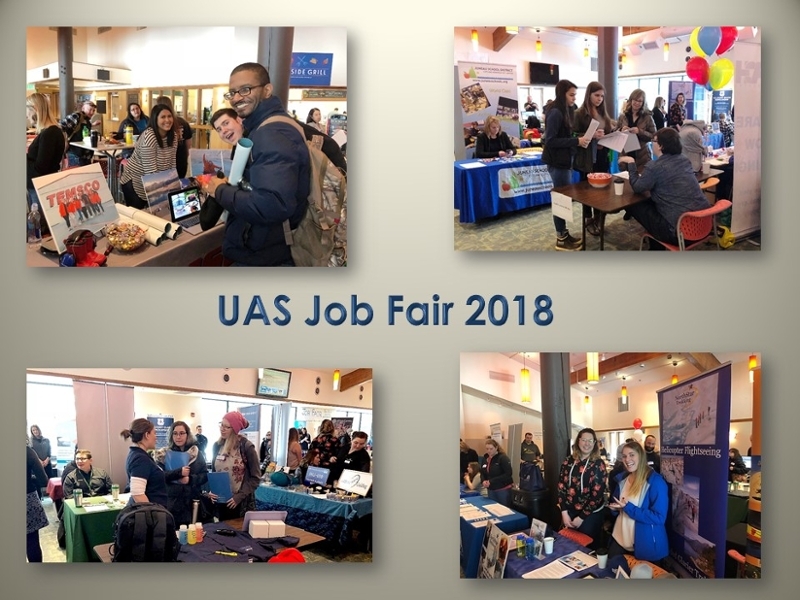 This year's Job Fair is Tuesday, February 12th, 11 am - 2 pm, UAS Lakeside Grill (cafeteria). 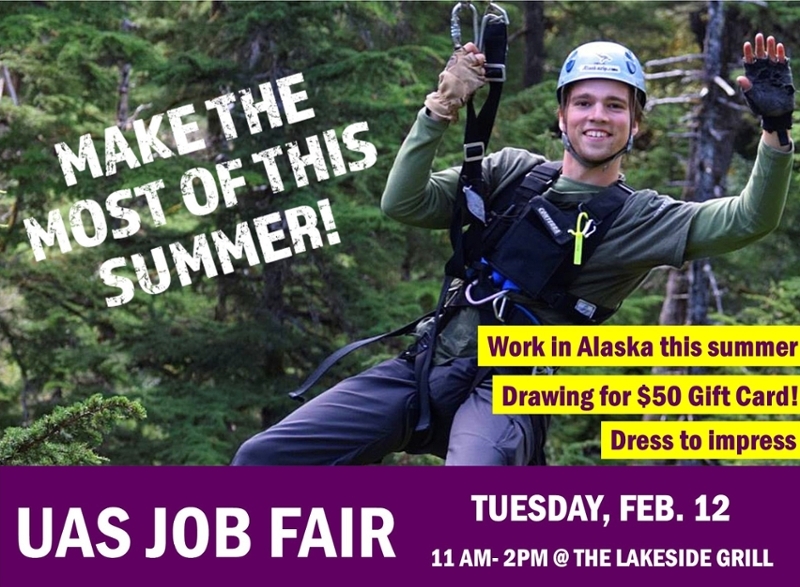 Students/alumni and the Juneau community will have the chance to meet with prospective employers for seasonal, part-time, and full-time positions as well as internships. 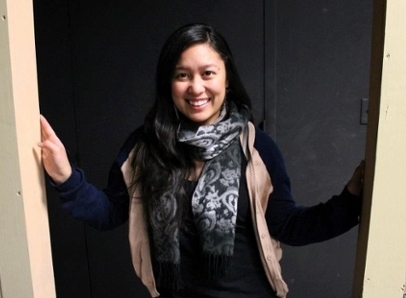 Career Services can assist you with your resume, interviewing tips, and strategies that can help you win the job and beat out your competition! Appointments can be scheduled by calling 907-796-6000. Employers can register online via the Online Registration Form link below. Space is limited, so please submit your registration form ASAP after registration opens to ensure a space.